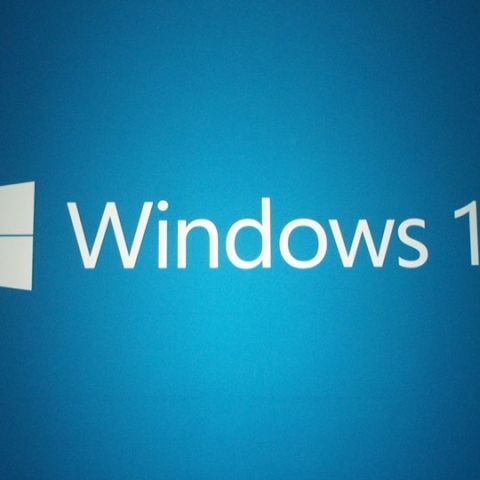 Microsoft announced its next-gen operating system yesterday called Windows 10. While a number of people are still trying to get over the fact that the name Windows 9 was skipped, there is speculation that Microsoft made the move to directly take on Apple's OS X also called OS ten. 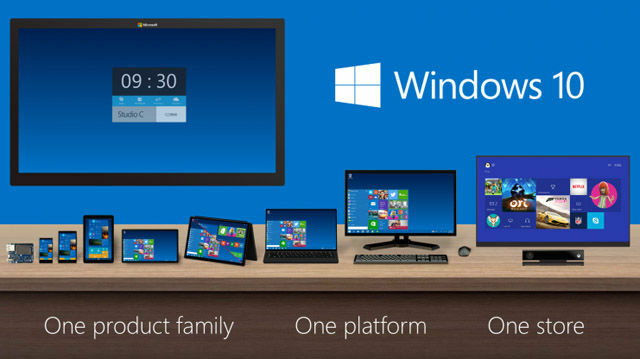 There are a bunch of new updates and features that will be featured on the Windows 10. This is quite an interesting feature as it will automatically change modes according to changes that happen on a device. For example if you attach a keyboard to a Windows 10 running tablet, it will automatically change it into a non-touch mode and use all the space on the display. The new Window 10 update will also be much more touch-friendly and include some new and updated features to improve the touch experience that was as issue on Windows 8 and 8.1. When the Start menu was removed in Windows 8, it was anarchy. Windows 8.1 got back the Start button it only helped you to shift between desktop and app mode. Thankfully this will not be the case with Windows 10 as the Start menu is now redesigned and will include both your apps and tiles. Up till now we could put two windows side-by-side. 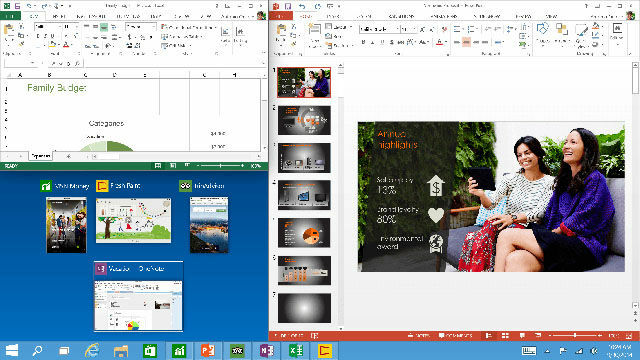 Well now Windows 10 will allow users to 'snap' up to four windows for better multitasking. So now you can open multiple windows together and reduce the time to switch between them. For a more personalized experience you can now create more than one desktop for different people and different purposes and switch between them efficiently. So now you can have different work-spaces for home and office. Microsoft has finally solved the conflict for users who find it hard to switch between the app mode and desktop mode. With Windows 10 you will be able to run modern/metro apps directly on the desktop and will include a close button on the top right. You will also be able to run traditions apps and modern apps at the same time and snap them side by side. Developers will now be able to create universal apps that will work on a Windows 10 running PC, tablet or even s smartphone. It will be interesting to see how Microsoft implements this. A brand new command prompt will be included in Windows 10 which will support keyboard shortcuts by default. So now you don't have to type those long path names, just Ctrl+C and Ctrl+V. 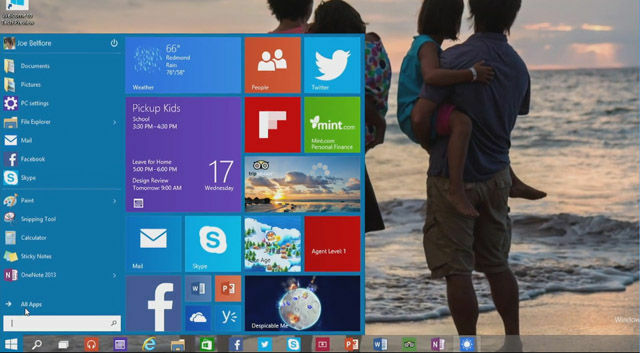 Windows 10 will include universal search which was first seen on Windows 8.1 integrated into the new Start menu. Searching for an item will not only search for files, folders and apps, but it will also search the web and give you relevant results. The new features sound pretty good and seems that Microsoft is trying its best improve where it failed with the Windows 8 and 8.1 updates. Another interesting feature that was kept under the wraps was Cortana, the new voice assistant. According to the Verge, it will be included in the final build and it is currently under development stage. Windows 10 will be available next year and while there is no confirmation whether it will be free for Windows 8 and 8.1 users, we are speculating that Microsoft will indeed provide a free upgrade. A preview version is currently available and you can register for it over here.